before later being operated and managed as a gGmbH [non-profit limited liability company]. 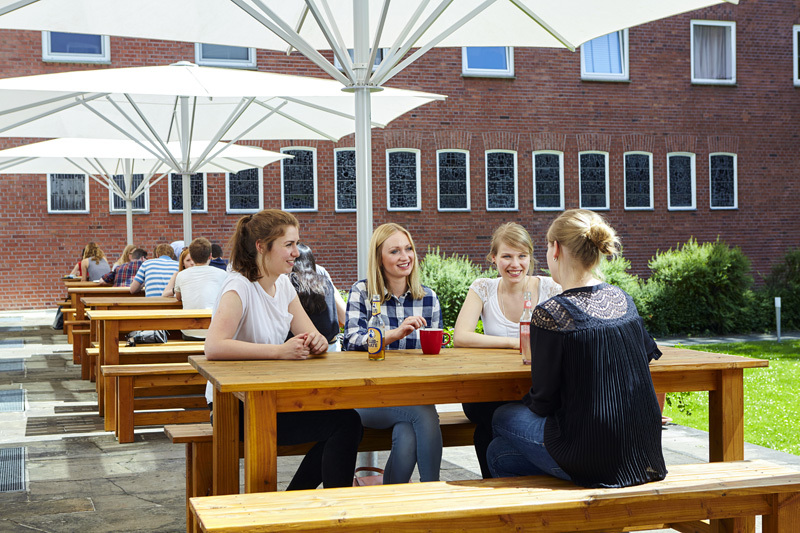 In 2015 Café Milagro gGmbH merged with the Bischöfliches Studierendenwerk Münster and has been managed as a separate facility alongside the student residences ever since. At Café Milagro we offer meals and drinks at fair prices and largely using sustainable, ecological and regional production processes. At our lunchtime – “all-you-can-eat deal”* – we offer one lunch course and a vegetarian option incl. salad or dessert for students and guests during the semester period. You can choose a salad plate as an alternative. 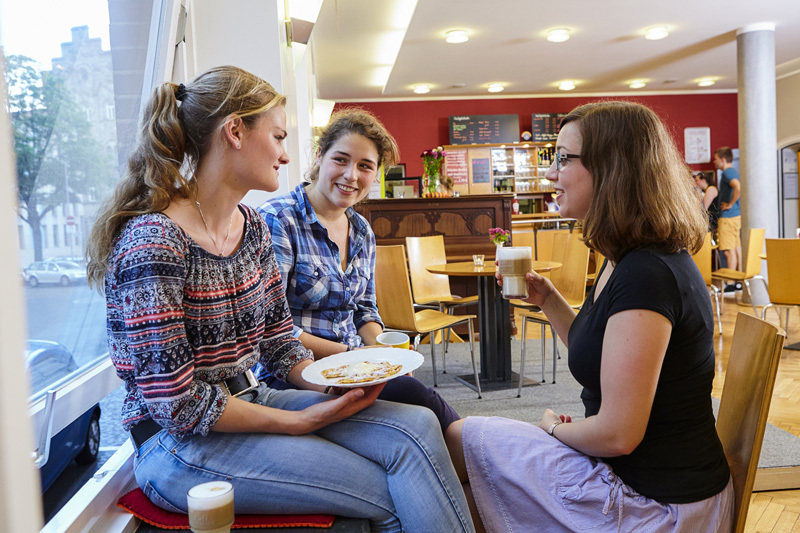 We offer different coffee specialities, muffins, cakes and waffles in our Cafélounge. 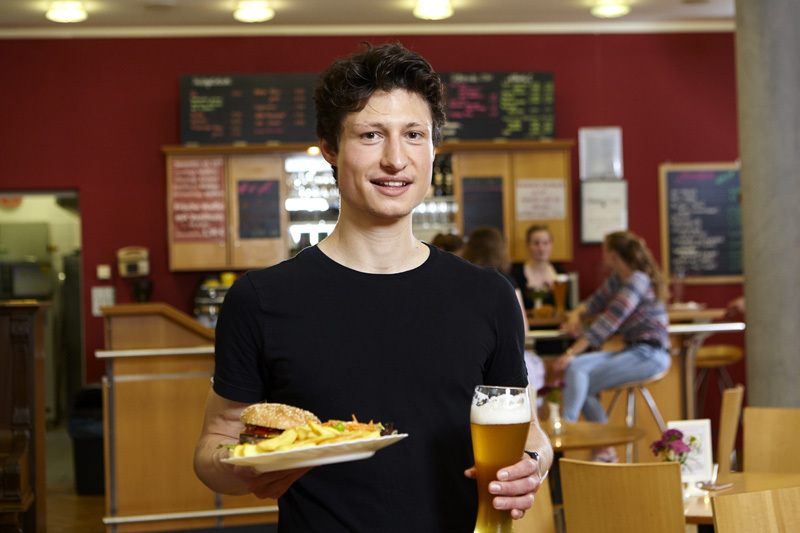 For example, our evening menu includes our burger menu, which is very popular among students, making a lovely evening with your classmates in Café Milagro a worthwhile alternative to the student eateries in Münster. What makes Café Milagro so special is that our approx. 20 student staff are more than just employees. The team of staff are all involved in discussing and implementing how Café Milagro is run and any future developments. 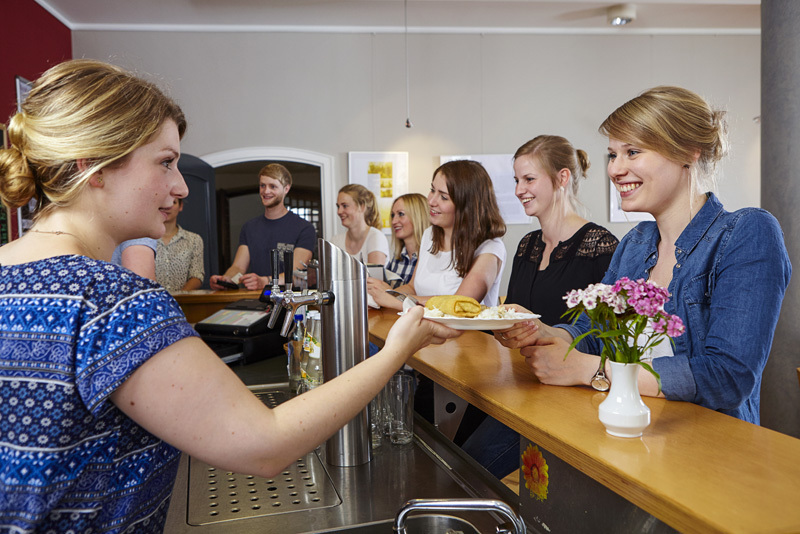 Having a good community is very important to us here and we look for new employees almost every semester.